World of Warcraft players know that there are friends, and then there are same-level friends. You tend to see the latter far more often, because playing in lower-level areas involves nothing less than sucking the challenge out of the game and firing it into the sun. With any luck, though, that’s to become a social problem of the past. One level 90 player has stumbled across something that could be a bug – but just might be the first inkling of a level-scaling feature. Our protagonist was “messing around” yesterday evening fighting in high-level Heroics when he accidentally teleported himself to Stratholme – the Scourge capital with an advised base level of 42. The player was level 90, and so set about hacking at the undead without a thought for his health bar – until it emptied. What our hero hadn’t noticed was that his item level had been unexpectedly cut from 526 to 43 – in effect scaling him back to match the enemies he was facing. Guild Wars 2 launched with an identical system that saw friends able to hop into each others’ instances and have their level scaled to fit. The only foreseeable downside would be the inability to solo low-level areas in the hope of better loot – old hunting grounds would present much the same challenge the tenth time as they did the first. 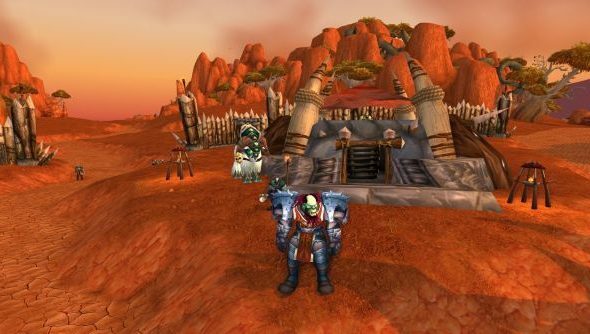 We’re hopeful that BlizzCon 2013 in November will see the feature apparent announced alongside a new expansion. Fingers crossed. Would that be welcome news to you too?